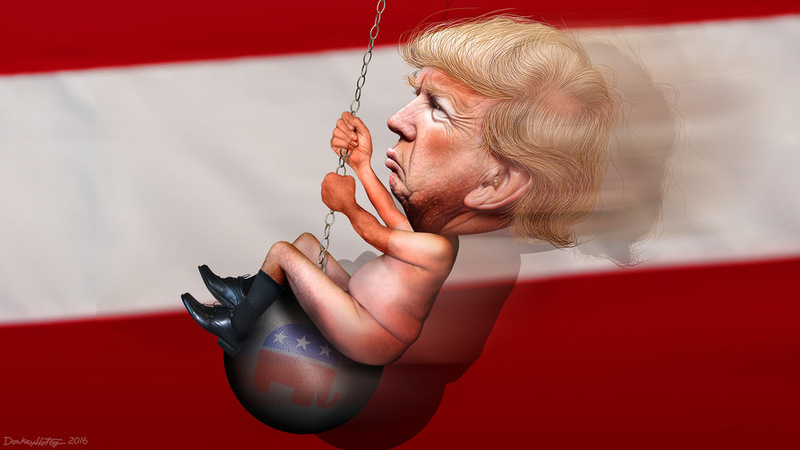 Donald Trump: Political wrecking ball? Or Presidential innovator? On January 20, 2017, Donald J Trump will be inaugurated as President of the United States. This very fact has about half the country in hysterics. This reaction is understandable -- Trump represents a substantial shift not just in policy, but in soul. It's the soul bit that has Democrats (and a lot of independents) freaked out. Trump's soul is one of a victimized over-achiever: "Everyone underestimates me... but I'll show them!" It should not be surprising that a lot of Americans share this sentiment. In fact, Donald Trump is more or less a fantasy for Americans who feel like they're looked down upon by pop culture for not having "progressive" views, and see Trump's ascendancy as a vindication of their struggles. Trump's soul has barreled through our body politic like a bull in a china shop. He flaunts the "One China" detente, threatens North Korea, dismisses the value of NATO, challenges America's animosity towards Vladimir Putin, attacks civil rights heroes like John Lewis, throws out the White House press corps, consistently says things that are patently false, etcetera, etcetera, etcetera. It's Trump's flagrant disregard for political norms that worries the establishment class and those who do not support nor trust him. His style accentuates -- and perhaps exaggerates -- his policy formula for America. Let me start by saying that I did not support nor vote for Donald Trump in the primary or general election. I am no Trump supporter. However, as much as I'm not a fan of his personal style or substance, I am a fan of innovation. Wait -- Trump is an innovator? Well, not in the traditional sense. He's not creating Google or an iPhone for sure. But, he is -- perhaps sloppily and wrongheadedly -- innovating what it means to be an American President, which will have intended and unintended consequences. Put another way, Trump is someone who prefers to break things and then let the pieces reassemble. Inventors create something completely new, but innovators typically replace something old with something new. Trump's supporters voted him in precisely for the purpose to break things and those who oppose him voted, essentially, for the status quo. The problem is that the status quo was tilted toward benefiting those of status. And not enough people -- especially in the Rust Belt -- are part of the status movement anymore. Even though my friends, family and I would have most likely benefited from the doubling down on the status quo, I can also see how any large, complex system (like the U.S. Government and the global world order) need to be reformed over time. And it's been a long, long time since fundamental political truths have been challenged and reformed. Even though the status quo has treated America well over the last five generations, it's undeniable that modern globalization and technology advancements have substantially shifted the winners and losers in the global economy. These global trends have not been primarily in America's favor. Trump's bluster, propensity to make stuff up, persistent puffery, and Putin camaraderie should not be normalized and unsurprisingly turn off the majority of Americans. His need to perennially prove that he's not a loser, combined with his insatiable desire to be admired, makes many Americans feel like he's unfit temperamentally to be President, nevertheless Commander-in-Chief. Yet his independent nature combined with his complete disregard for norms, standards, and reverence may actually position him to lead painful-yet-necessary changes in the establishment thinking and institutions that are required to calibrate to the new world order we're facing. This, in essence, is what I mean by unintended innovation. I foresee much-needed innovation occurring during this presidency, even if amongst this innovation there is unnecessary destruction and disassembling of important developments in our civic society. Or he could be a complete train wreck as President and ruin everything. Heck, he could accidentally send us to war -- or even worse, kick off a nuclear crisis. But it's not like we can undo the election. We are where we are, and I choose to focus on the potential upside. The media should at least be open to this potential upside even if they have their hands full with the abnormalities that defines normal now in Washington. There's the butterfly effect and then there's the bull in the china shop. Here's my take.